French-Thai BYOB La Na in Media (33 W. State St., 610-892-7787) notes gluten-free options on its menus. Thanks to reader Liz D. for the tip. Reader Tania F. recommends Vietnamese restaurant Pho Street in Springfield (204 Baltimore Pike, 610-544-3934). Most items, including the rice noodle dishes, are gluten free there. It's a bull market if you're a burger booster. Coming to Center City Philadelphia this summer as part of what's already a crowded scene is Bareburger, according to Philly.com. The first area franchise of the New York City-based organic burger chain is planned for 1109 Walnut Street. The company says that all meats and poultry except panko and buttermilk chicken are gluten free (and can prepared on a separate section of the grill), as are the salads, sauces, and French fries (cooked in a dedicated fryer). Burgers can be served on tapioca-rice bun or in a lettuce wrap. Bareburger will also offer a number of hard ciders and a flourless chocolate cake for dessert. Be Well Philly reports that Sweetgreen is opening another location in the area, this one in the Washington Square West section of Philadelphia (924 Walnut St.) Grand opening is Wednesday, March 26. All dressings and most salad ingredients are gluten free. 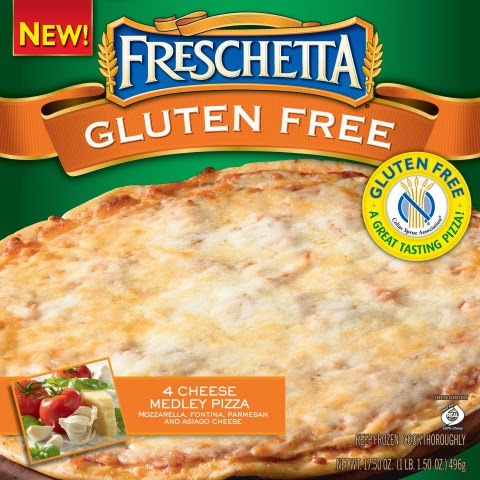 Schwan’s Consumer Brands has introduced two gluten-free varieties of Freschetta frozen pizza. There's a "Signature Pepperoni" style along with a "4 Cheese Medley," with a blend of mozzarella, fontina, parmesan and Asiago cheese toppings. The new pizzas, which are certified by the Celiac Sprue Association, retail for $9.99 and are currently available in limited markets; there's a Where to Buy feature on the company's website. Currently, the only location listed in the Philadelphia region is the Safeway on Foulk Road in Wilmington. Passover is as close to a gluten-free holiday as there is. In Tuesday's post, I covered new products that are available this year as well as a host of returning favorites. 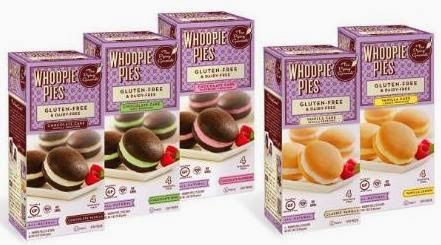 Gluten-free whoopie pies are a thing. The Piping Gourmets out of Miami are producing several delicious varieties - chocolate with raspberry filling and vanilla with vanilla filling - that are available in the freezer case at Whole Foods' two Philadelphia stores. The desserts are also dairy free, kosher-pareve and non-GMO and sell for $7.99 per four-pack. 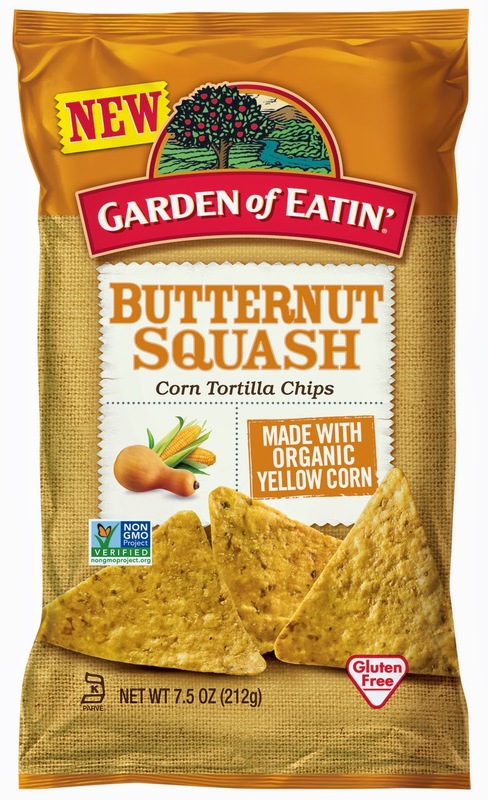 Hain Celestial has debuted Garden of Eatin' Butternut Squash Corn Tortilla Chips, made with a blend of butternut squash and organic yellow corn lightly seasoned with sage and a hint of roasted onion. All Garden of Eatin' chips are made with non-GMO ingredients and are Non-GMO Project verified. More new gluten-free hard ciders are on the way. Strongbow has launched Gold Apple Hard Cider and Honey & Apple Hard Cider. The Gold Apple variety combines sweet and tart notes of the Golden Delicious apple, along with hints of Honeycrisp apple and pear. The Honey & Apple Hard Cider is a flavor new to the cider market. Both are 5% ABV. The Chester County Gluten Intolerance Group support group meeting with Jennifer Fugo has been rescheduled for Thursday, April 3. It will take place from 6:30 p.m. to 8:30 p.m. at the Chester County Government Services Center (Room 170), located at 601 Westtown Road in West Chester. I'll be at the National Foundation for Celiac Awareness table at the CHOP Celiac Disease Education Day on Sunday from 10:15 a.m. to 11:15 a.m. If you're attending, please stop by and say hello. Sorry I didn't get a chance to say hello at the CHOP event. Please keep up the good work!